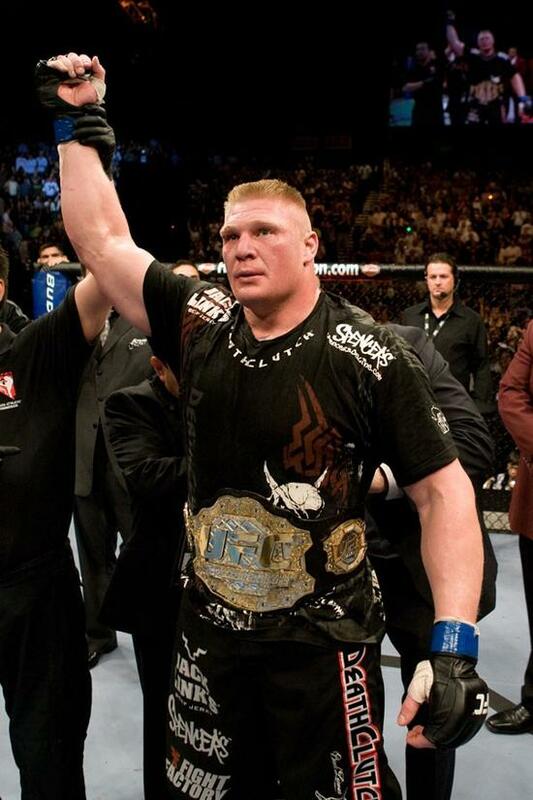 Brock Lesnar is a polarizing figure and he's got his share of haters. But he deserves all the credit in the world for his highly successful, if short lived, mixed martial arts career. Yes, Brock finished with a numerically-challenged record of 5-3. But he did win the UFC heavyweight title, and he competed at the highest levels of the sport, despite suffering from diverticulitis, a serious digestive disease. The guy was legit. He was the real deal. I wish him all the best in his post fight career. Here's a hard rocking highlight reel of Brock Lesnar in action.